The portion of the Whittier Road closed for construction on a bank stabilization project is expected to reopen by Wednesday at the latest. FARMINGTON — The portion of the Whittier Road closed for construction on a bank stabilization project is expected to re-open by Wednesday at the latest. 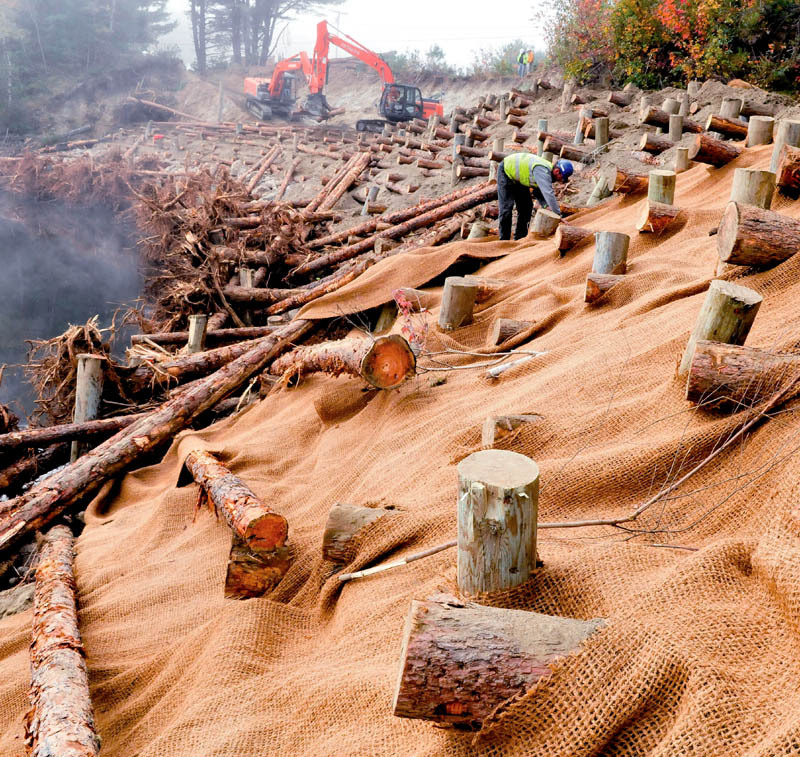 Public Works Director Denis Castonguay said today that the missing part of the embankment was on schedule to be rebuilt into a slope by the end of the day, using layers of intertwining trees with the rootwads intact and wooden posts. After the slope is reconstructed, workers will need to add vegetation to the bank and do some small repairs on the Whittier Road, he said. The portion of construction that took place in the river is finished, Castonguay said. Federal regulations stipulate construction in the river needed to be finished before Oct. 1 in order to minimize the effects on the endangered Atlantic Salmon. Brian Bair, project manager with the U.S. Forest Service, said the project remained on budget, which adds up to $452,072 when including the biological assessment and design work. 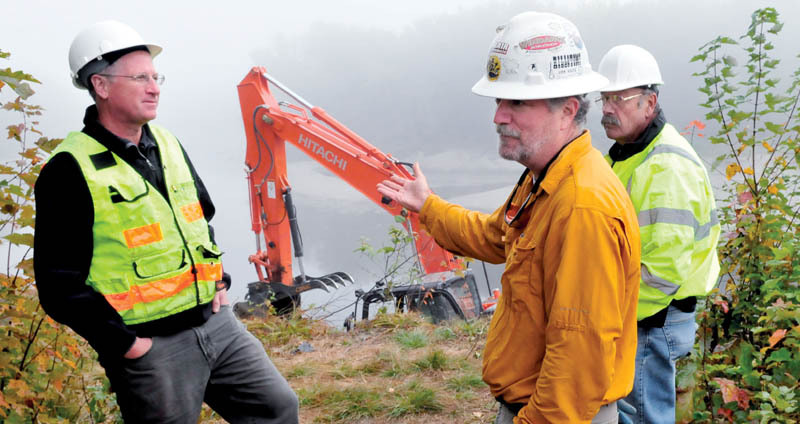 As the Whittier Road stabilization project wraps up on time, town leaders are considering a long-term river management plan to identify flood-prone areas and correct problems early, said Jed Wright, senior biologist with Maine U.S. Fish and Wildlife. The goal of the formal river plan would be to maintain the riverbanks and be better prepared in the event a similar problem occurs. The plan would involve conducting a study through U.S. Fish and Wildlife to gauge the feasibility of rerouting the river farther away from Whittier Road. The town and the wildlife agency are making plans to meet in the next few months. Bair, of the U.S. Forest Service, said the river now sharply angles near the now-stabilized 300-foot stretch of the Whittier Road. He said if they straighten the portion of the river, it could reduce flooding. 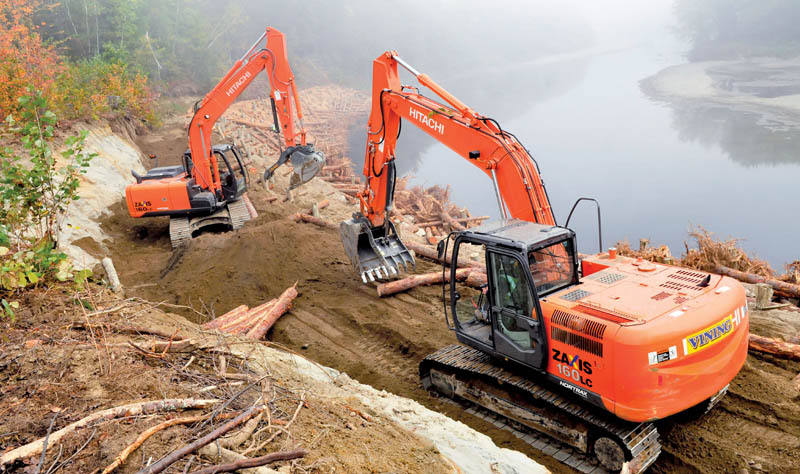 Bair said rivers naturally erode, amass material, meander and reroute over time, but because people tend to settle along bodies of water, they need to find ways to fight the erosion process temporarily or, if possible, long-term. “Which is why we have no shortage of work,” he said.